[Madison, Wis…] Today is the first day of Obamacare’s 2018 open enrollment period, a time when the horrors of Halloween will continue for hundreds of thousands of Wisconsinites who are slapped with sticker shock as they shop for health insurance through Obamacare. 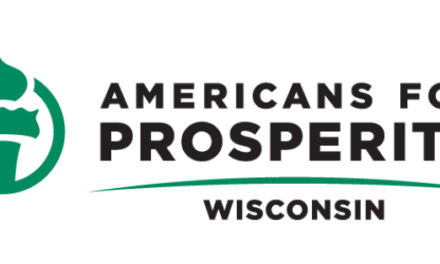 Last month, the state’s Office of the Commissioner of Insurance announced that Obamacare premiums would skyrocket by 36 percent in Wisconsin, higher than the national average of 34 percent. Worse, 75,000 Wisconsinites are losing their coverage because insurers are abandoning Wisconsin’s Obamacare market. In 2017 alone, Anthem Blue Cross/Blue Shield, Molina Healthcare, and Health Tradition Health Plan announced they would stop offering plans on Wisconsin’s Obamacare exchange in 2018. Humana, UnitedHealth, Aetna, and Arise had already left the market. That means less competition, fewer choices for consumers, and a death spiral for the individual insurance market in Wisconsin. “Now that open enrollment has begun for 2018, Wisconsinites will once again face the stark reality that President Obama’s signature achievement has been an unmitigated failure that’s trapping middle- and low-income Americans in its death spiral. “The evidence is all around us that Obamacare is in freefall. As insurers continue abandoning Obamacare in Wisconsin and around the country, premiums will keep skyrocketing and more and more people will lose their coverage. Any attempt to shift the blame for the law’s failure to President Trump ignores the fundamental flaws that doomed Obamacare from the start. PreviousCalculated attack on Speaker Ryan or simple misstep by Kevin Nicholson?